Also, just some notes on the prices, these are all after tax (12%) and in Canadian dollars. Originally I was tempted to get the FX-8320 because the entire internet, and a YouTube channel I liked at the time (cough Tek Syndicate) were praising the price to performance ratio of the FX CPUs, saying they provided basically the same performance at a much better price... well after doing a lot of research and watching real gameplay videos, rather than just listening to people tell me it's "good enough" or "more bang for your buck". I consistently found i3s and i5s outperforming FX-8320/8350s by a healthy margin, and that was even in mostly GPU-bound situations. I'm really glad I went with the i5-4690K. Doesn't generate much heat, overclocks easily (without tinkering with turbo settings at all, mine runs at 3.8GHz across all 4 cores rather than 3.5 in multi- or 3.9 in single-threaded applications). The performance is WAY better than the Core 2 Quad Q6600 I had before, which to be frank when overclocked provided similar results to the FX-8320 framerate tests I find on YouTube. I'm blown away by the be quiet Pure Rock... get it? Hahaha.... hah. Alright it has its issues. I used it with some Arctic Silver 5 rather than the stock goop, so the temperatures are probably a good bit better than the default stuff. The default stuff had a very thick layer and was spread across the entire thing, so I expect it comes pre-applied with too much thermal paste. You can find temperatures at the end of the post, along with system performance, but it does a great job of keeping my 4690K cool. Additionally, it's very quiet... I can't hear it at all. Noise levels are pretty much my top priority since the light buzzing sound drives me bonkers. The downside is installation is a pain in the ***. It's very cramped and difficult to install due to the mounting bridge. I realized after installing it once that I hadn't installed it correctly, which was a right hassle. Luckily mounting the fan itself onto the heatsink is super easy and you can raise it if necessary for RAM clearance. I'm not too happy with the Gigabyte Z97X-SLI to be honest. 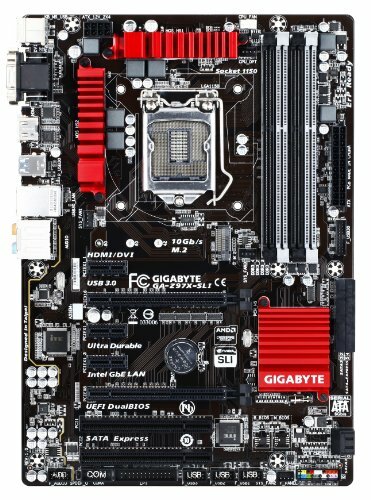 The quality of the board itself is fine, and I haven't had any issues. I've seen a few reports of people having a lot of audio interference, but I haven't encountered that myself (although my friends on Skype say my mic sometimes has interference - but it could be my mic since it is resolved by turning it off and on again). So what's the problem, you ask? The board is narrower than a standard ATX board. While that may not sound like a big deal, the issue is that a lot of space is missing on the right side of the board so things get moved to weird places. Guess where the front audio header is on the motherboard. On the bottom left of the board... below where your GPU will be, and on a lot of cases too far away to reach your header. Luckily my case's front audio cable was long enough to reach, but not long enough to do it neatly. Another big problem with the narrower board is that it is not fastened on the right-edge by screws... so it's very difficult to connect to the 24-pin ATX PSU cable to the board since it flexes ALOT without the standoff support. It's RAM... no issues and a lifetime warranty. I've yet to have my RAM usage above 6GB, and that's with having 6-9 Chrome tabs open while playing Battlefield 4, or sometimes multiple games at once (like Civilization V + Tabletop Simulator), so I think 8GB will be just fine for awhile yet... then again, I thought 4GB was more than enough a few years ago and it very quickly became the biggest problem in my system. Previously I was using an EVGA GTX 560 Superclocked. 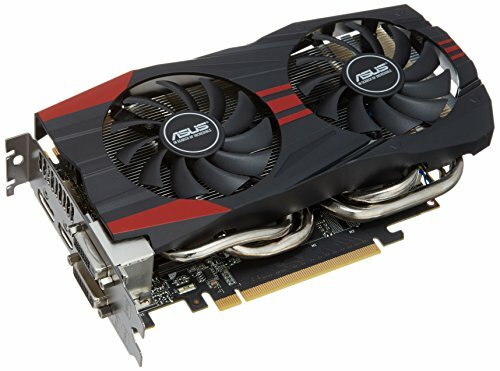 My friend had a system using the Asus GTX 760 I'm using now, and after having some issues with his computer (BSODs) decided to get a new one. Since his old computer was then just gonna sit in his back room as a backup, he was willing to trade me the GTX 760 for my GTX 560... so I dunno if you wanna call it free or not, but I'm very happy with it. The performance is a good 30-40% better than my GTX 560. 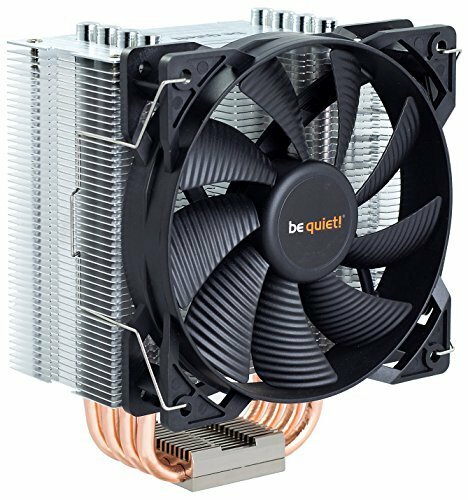 I'm kinda disappointed though, the Asus DirectCU II is advertised as being super quiet (3x quieter), but it's louder than my GTX 560 was... and that was using reference blower cooler. The fans on this are really high pitched and loud once they get up to around 60-70% speed, which happens under load even if I don't overclock the card. So I figured, since it's gonna be noisy either way, I would overclock it. Managed to get it stable at around 1200MHz boost clock, and around 6500MHz memory clock. 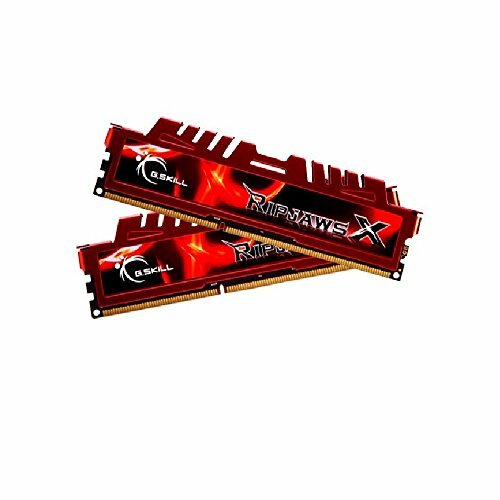 This card wasn't a great overclocker and would run into artifacting and driver crashes really easily with even slight bumps in memory and core clock. 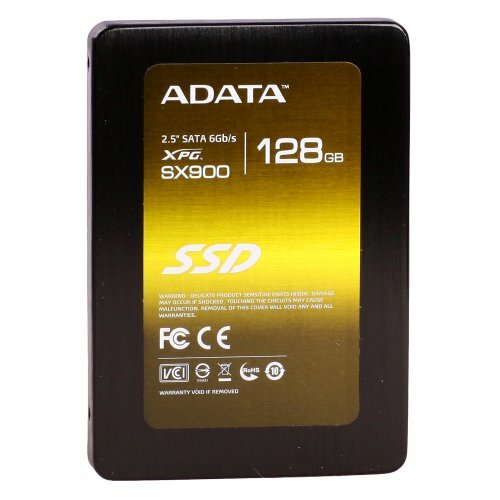 The 1TB drive is recycled from a previous computer, so there's nothing much to say about it. The RM 650 is underwhelming. It looks great, it has all-black, flat cables (no colourful spaghetti) and is completely silent during all of my computing, gaming included. It's also super efficient and can support SLI and Crossfire should I go that route. But the damn plugs on the cables are misfitted and stubborn and require ungodly amounts of force to clip into place, and the 24-pin ATX cable won't go in at all. If you're gonna be dishing out over $100 on a modular, gold rated PSU... don't get this one, or get some custom cables. I'm considering picking up a new 24-pin ATX cable (this one, to be precise) just because I'm paranoid that the Corsair one will disconnect or have some issue in supplying power to the board since it just won't plug in all the way. The Fractal Design 3500 Windowed is a pretty nice case... it wouldn't have been my first choice, but I won it from a contest NCIX did on one of their YouTube videos, so I'm not gonna complain. Overall I'm satisfied with the case, but if you are paying retail price I would not recommend it. It feels like a $40-50 case rather than a $80-100 case, which is its asking price. The good - it has a fan controller so the 3 included fans don't take up the limited number of fan headers on your motherboard, and so you can easily control the speeds of them for noise optimized, balanced, or high airflow. I generally use them on the lowest setting since it's quietest and is more than enough to keep my components cool. It also has decent cable management space behind the motherboard tray. The thumbscrews that come with the case are FANBLOODYTASTIC. The bottom dust filter is really good. The bad - cheap build quality and assembly. The metal is thin, especially on the top - it either sags in or protrudes out, and you can snap-flex it back and forth. If you plan to put any sort of AIO radiator at the top, it would sag for sure. The Fractal Design fans that come with the case are noisy when mounted upwards for some reason - so the top exhaust fan is noisy and makes a buzzing sound... (replacing it ASAP with a Corsair or be quiet fan). Also, some of them have their screw holes completely worn so that the screws aren't really screwed in at all, and will just keep turning endlessly. It's enough to hold the fan in place, but it isn't tightly fastened... it's like they used a power drill to screw in plastic fans. Genius! The top fan mounts are very porous and there is no dust filter, and only one comes equipped with an exhaust fan, so it's a great place for dust to fall in. I picked up a $6 magnetic dust filter from Silverstone to throw on top of the empty fan slot, problem solved... would've been nice if they were included or if the metal mesh was finer. The holes are seriously almost big enough for a kid to stick their pinkie fingers through. The fan controller is right above where your GPU will be installed, and needs to be removed to access the PCI bracket... additionally it's a plain green circuit board with red and yellow spaghetti, perfectly viewable in the window. It's also very cramped in the top of the case so installing and uninstalling the CPU power cable on your motherboard while you have an aftermarket heatsink is a pain in the ***. So the Core 3500 isn't bad... it's just not worth its asking price, especially when the Arc Midi and Define are so much more fully featured and well built for just ~$20 more. If you ask me Fractal has oversaturated their lineup of cases and their "value" cases don't give you very much for the money. Either stick to their mainstream cases (like Define, Arc, Node) or pick a different manufacturer who offers a bit more at this price point, like NZXT or Corsair. Insanely fast, overclocks well, and doesn't generate much heat. You cannot do better than this for a gaming build in the $800-1100 neighbourhood. Dead silent, very effective for its price. Rated for 130W of heat dissipation, so it should handle any quad-core Intel CPU overclocked. Mounting bridge and installation are very frustrating, avoid this at all costs if you have a small case. Factor in another $6 into the cost for some thermal paste, since the stuff it comes with is awful - you'll shave a good 5-10C off of temps just with better thermal paste. Fully functional, I've had no issues with it at all. However it is not a standard-sized ATX board. It is narrower and sacrifices the right-most standoff screws that standard ATX boards have. Due to this, the board flexes and makes it difficult to plug in headers and the 24-pin ATX power cable on the right side of the board. Additionally, due to the narrower board and sacrificed space on the right side, the front audio port is on the very bottom left of the board, so it might not reach on cases with relatively short headers. 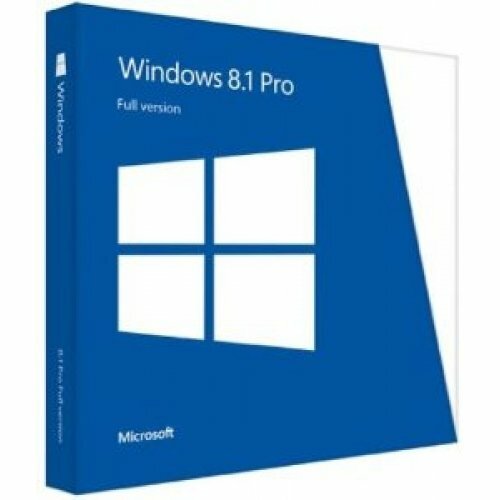 Extremely fast boot times, and no issues with installation or stability. Poor overclocker compared to other models of the GTX 760, bad coil whine, and fans are extremely loud (and high pitched) when the card is under load. If you value a quiet gaming environment, you're either gonna need to lower the GPU load (i.e. waste potential performance) by capping framerate or underclocking, or look for a quieter model. Very unstable when attempting to overclock the memory, could barely push it to 6400MHz, while most others will reach around 6800MHz (i.e. twice the gain compared to stock). It runs at 3.8GHz across all cores by default. Stable at 4.5 with 1.225V (so perhaps 4.7 @ 1.3 is doable) but I'm just running at 3.8 because it's more than fast enough for what I do with it, so it'd really just be extra heat. Thanks for the advice. I was gonna get an EVGA SuperNova NEX but it seems they have a notorious noisy fan problem... I got the RM650 on sale from NCIX, and the SuperNova G2 was a lot more expensive at the time and I wasn't sure whether it'd have the same issues as the NEX. 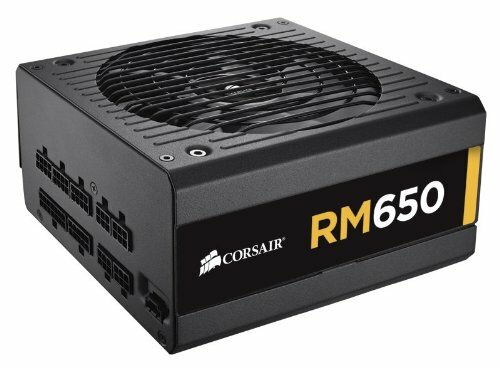 I'm hoping the RM 650 won't give me any trouble, right now my system demands probably around 250W under heavy load, so it's not being pushed too hard. And are you sure about the thermal paste? Perhaps AS5 isn't the best, I'm not sure, but the pre-applied stuff was literally covering the whole contact area and very thickly applied, I think it would have done very poorly. And 3.8GHz is just what it runs at by default across all cores. My understanding is that the way turbo works is that the CPU can run 3.5GHz across all cores, or 3.9GHz on a single core while the others downclock depending on the workload. Mine's doing 3.8GHz on all 4 cores at stock settings. And I'll look more into changing the paste on the GPU... although I might just get an R9 290 or GTX 970. Arctic mx-2 works pretty well too. It's what I have on my 4690k right now. Also, if you want a psu that'll last awhile and is affordable for wattage and build quality, go for an evga supernova 750w B2.